This is my lovely new cabin and it's due to be completed in the next few weeks by my amazing friend and builder, Gina. I'm going to be running workshops in here for one or two people at a time. 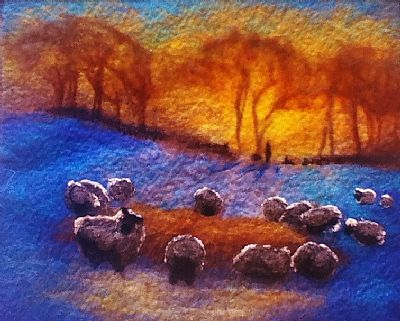 So, if you're coming to Inverness and the Highlands for your holiday this year and you'd like to make your own felted souvenir with me amongst beautiful Scottish surroundings then contact me at susufraser@gmail.com. 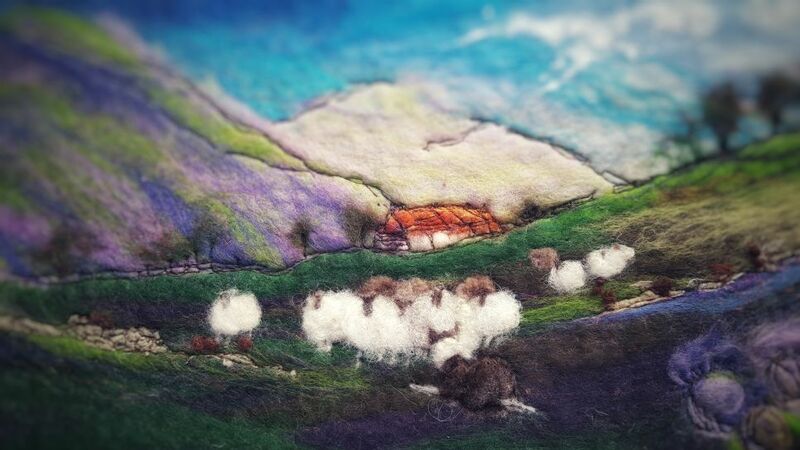 How do you make a Scottish landscapes from wool and silk? Click on the symbols at the very top of this page for links to Wooliebacks on Facebook, Pinterest and to my instructional video on YouTube. Felting stones outside Ceard gallery in Ullapool. 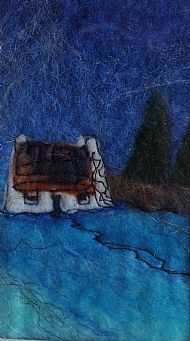 WANT TO LEARN HOW TO MAKE FELT? 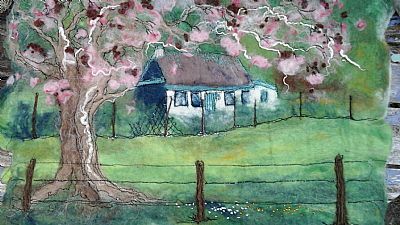 Have you ever wanted to learn how to make felt? Once you've mastered the basics, you can make bags, ornaments, hats or if you're like me, pictures. 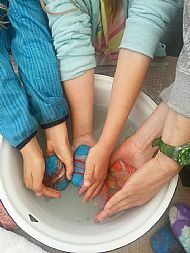 I love to teach other people how to use felting as a theraputic activity. 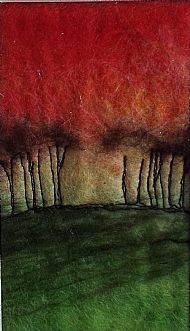 If you'd like to learn the basic techniques that I use to make felt, then contact me at susufraser @gmail.com to find out about future workshops. 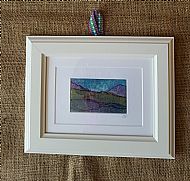 This felted picture was inspired by a painting by artist Christopher Osborne. 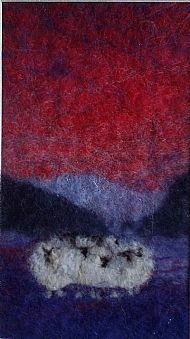 Felted artwork inspired by and made in the stunning Scottish Highlands. 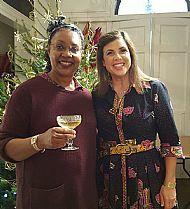 Please visit the forthcoming events page to find out where I'll be in the coming months and check out the shop, which is constantly changing, for gift ideas in a range of prices. 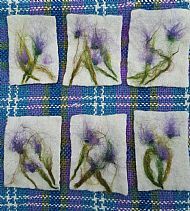 You can purchase felted items such as keyrings, cards and bookmarks for as little as £3.50 from my stall at craft fairs in beautiful and sometimes rather cold, locations across the Highlands. You can contact Sue at: susufraser@gmail.com, on Facebook and on Twitter.